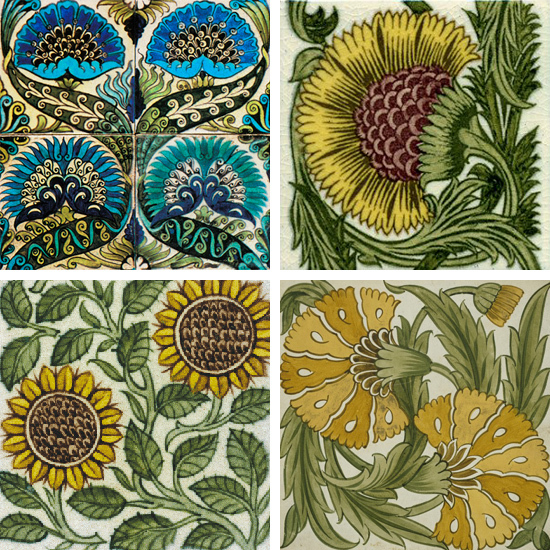 Creative Sketchbook: William de Morgan's Ceramic Tile Patchwork! 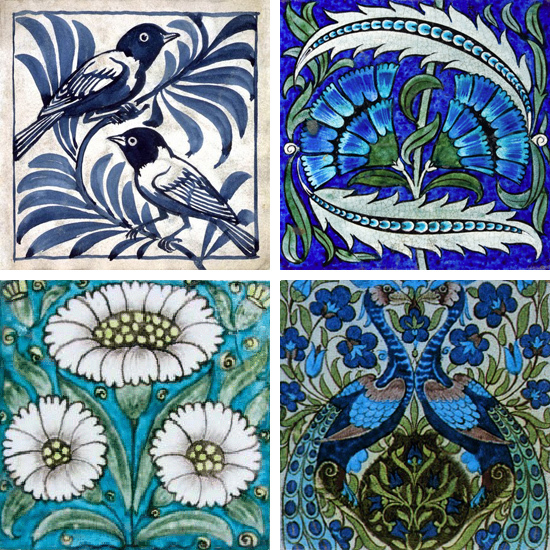 William de Morgan's Ceramic Tile Patchwork! 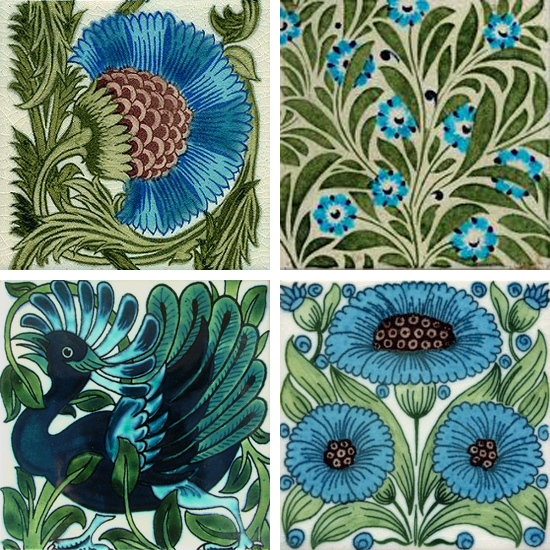 I am actually lost for words to describe how much I love the stunning, original ceramic tiles of William de Morgan. I got a little bit carried away when researching images so have included lots. I particularly love the combination of different imagery, scales and colour palettes and can only dream of having a scattering of these tiles in my home one day. 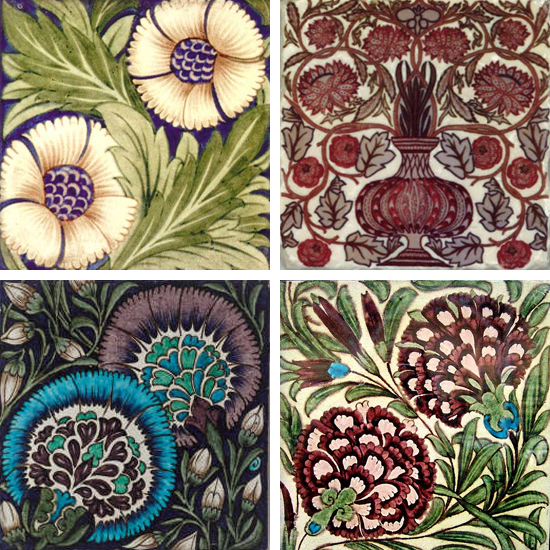 William created gorgeous ceramic tiles taking his inspiration from Persian patterns and medieval designs during the famous Arts and Crafts Movement. Experimentation with different glazes and exploring firing techniques made his designs distinctive and recognisable. I particularly love how his tiles, varying in design, look amazing when combined together. 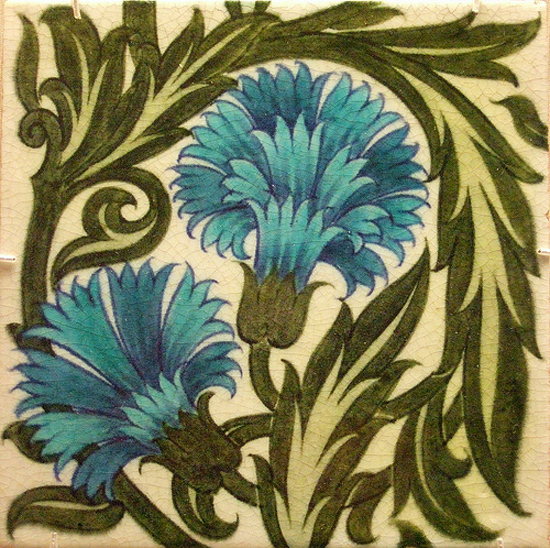 It is not hard to believe that William Frend De Morgan was a lifelong friend of the very talented designer William Morris. 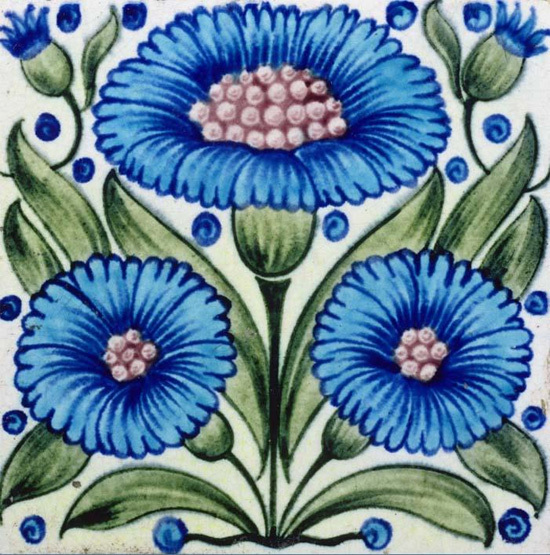 View the website dedicated to the works of William de Morgan and his wife here! Lovely Lucy Joy Oldfield's Decorative Designs! A Perfect Picture Postcard from Venice! Christopher Marley's Mesmerizing Metallic Bugs! Little Doodles by Kate Wilson! Mesmerizing Moroccan Ornamentation by Jill Ricci! The Whimsical Works of David Weidman! Claire Brewster's Delicate Paper World! Fabulous Fun Florals by Caroline Gardner! Jubilee Celebrations by Avery Tillmon! Jubilee Celebrations by Natalie Adams! Passion 4 Pattern 'Blog Hop'! A Vintage Botanical Garden by Devon Ross!